We love creamy Parisian brie and tender Italian prosciutto, so we combined them to make a pizza. For the pizza sauce, we used crushed San Marzano tomatoes. I hear the Italian chefs talk about them all the time on Food Network. ﻿My friend Dan said the oldest pizza place in New York uses San Marzano tomatoes for their sauce. I don't know for sure if he's right about that, but I decided that I would try the same thing. I found them canned at The Fresh Market. My husband and I both decided that our homemade sauce was far better than any store - bought sauce we'd ever had. 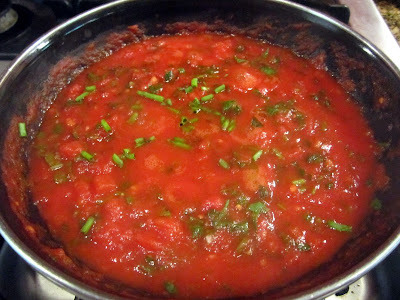 Heat the crushed tomatoes over medium heat in a small saucepan. Add the fresh herbs and garlic to the pan. Continue to heat and stir, letting herbs simmer gently in the sauce. After about 15 minutes, remove from heat and let cool. Slice the brie into small, thin, rectangular slices. 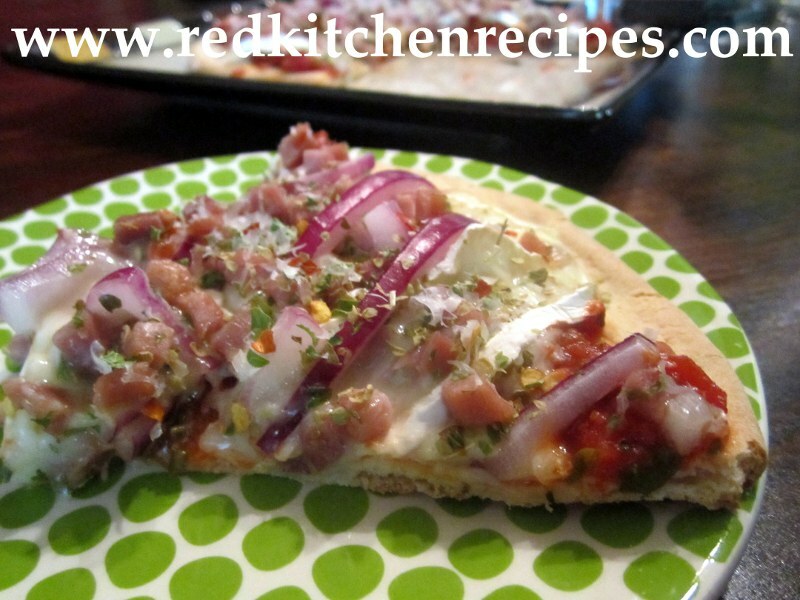 Spread the sauce onto 2 pizza crusts. 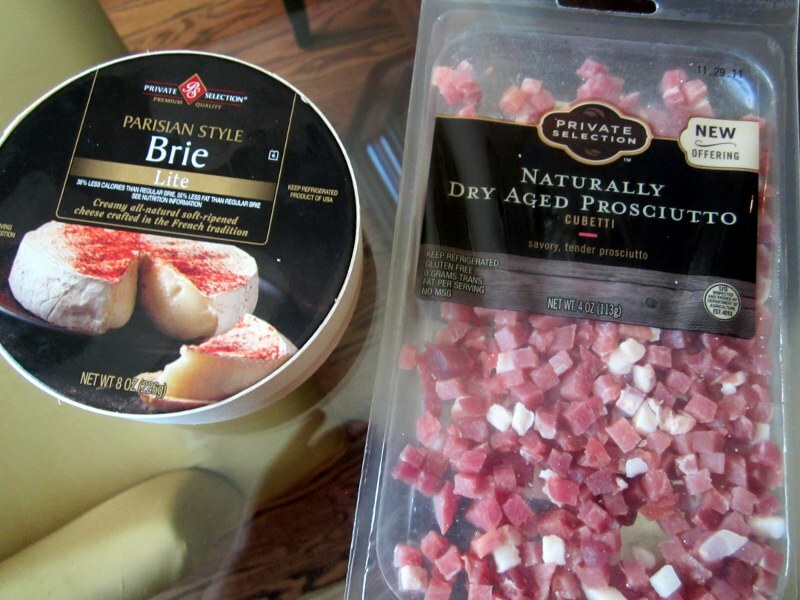 Top with brie slices, then sprinkle the prosciutto on top. 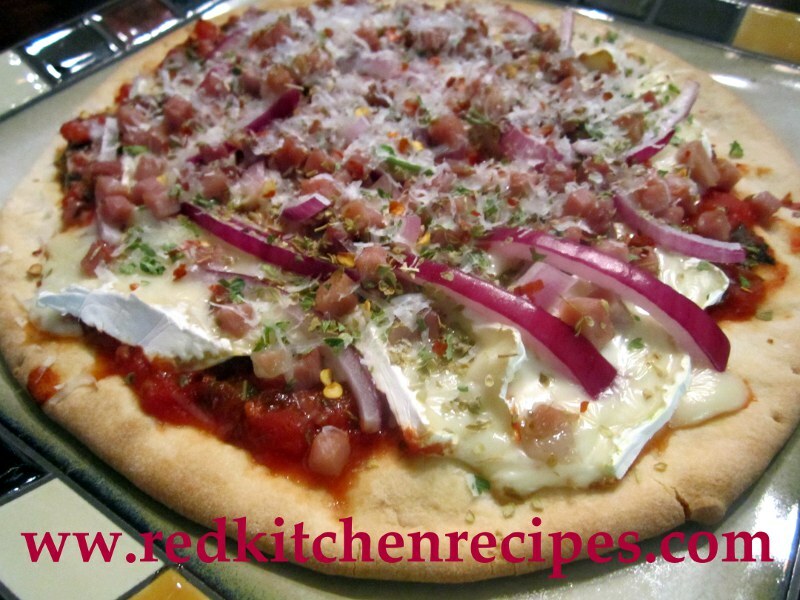 Place the red onion slices on top next. 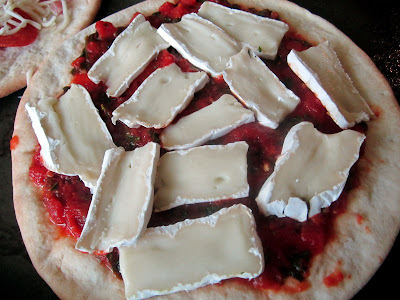 Bake for 8 minutes, or until cheese is melted. Another fun experiment in the red kitchen! 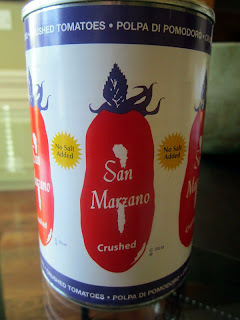 San Marzano's are great, we love 'em!